Who we are: A professional and leading wholesale sales agency representing quality commercial, hospitality and residential flooring & interiors products from around the world. Locations: Corporate offices are located in Holbrook, Long Island, NY with an additional sales office in New York City. Purpose: To become your source for wholesale flooring products; to perform sales and marketing for flooring manufacturers; to provide top quality products, service, sales support and merchandising assistance. With a team of highly dedicated and successful salespeople, we are committed to continually becoming more important to consumers, our Authorized Dealers and our Mill Partners. We pride ourselves on the long term relationships we build with both our clients and manufacturers. Coming Soon: LSI will be opening an office creating Lane Sale South based in Pompano Florida to cover the state of Florida starrting in 2020! Sales Team: Our team is composed of highly effective salespeople with extensive experience and contacts in the commercial, hospitality, architectural & design specification and floor covering industries. 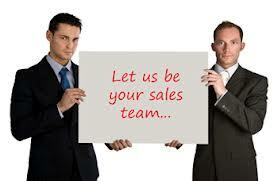 Lane Sales currently employs four (4) Territory Managers, plus sales support. Our sales experience spans across companies such as Stanton Carpet, the Rug Hold Company, Collins and Aikman (Tandus), Beaulieu, and more. Our experience ranges from national sales management, operations & production management, sales representation, architect and design specification, project management, sales training, carpet store ownership and extensive computer knowledge. We also have a Commercial Hospitality Division comprised of five (5) Territory Managers and one (1) full time support staff; focused solely on promoting Lane Sales product lines and custom, specifically to A&D firms that specialize in hospitality and to Hospitality Purchasing Agents. A NOTE FOR FLOORING MILLS: LSI is always open to new products and new mill partners. If you are looking for more than just someone to carry your line, contact us so we can see if there is a fit, for us to help each other.